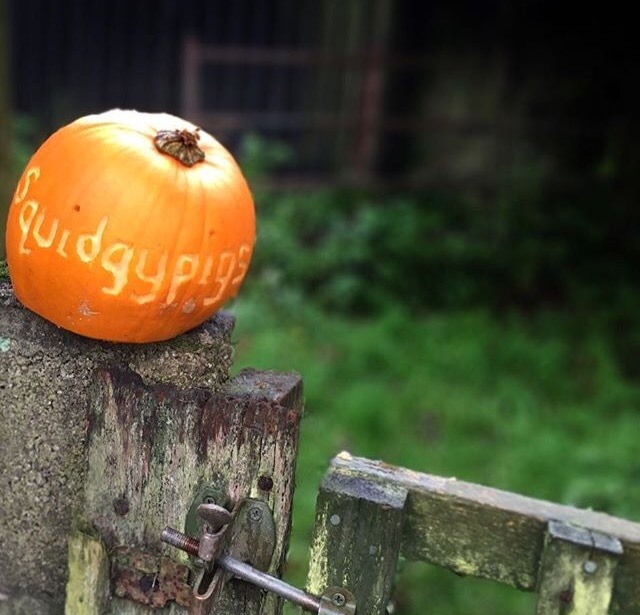 Yes, Pumpkin skin and flesh is perfectly edible by Guinea Pigs, however due to its relatively low nutritional value it is best kept as a treat. Like all squashes; Pumpkin is mainly water with most nutritional benefit coming from the skin. The high water content makes it very low in fat and sugar but also low on fibre and carbohydrates too. Due to its high levels of beta carotene (the bit that makes it orange); Pumpkin is very high in vitamin A.
Vitamin A plays an important role in optic (eye) health, the skin, reproductive system and the immune system. 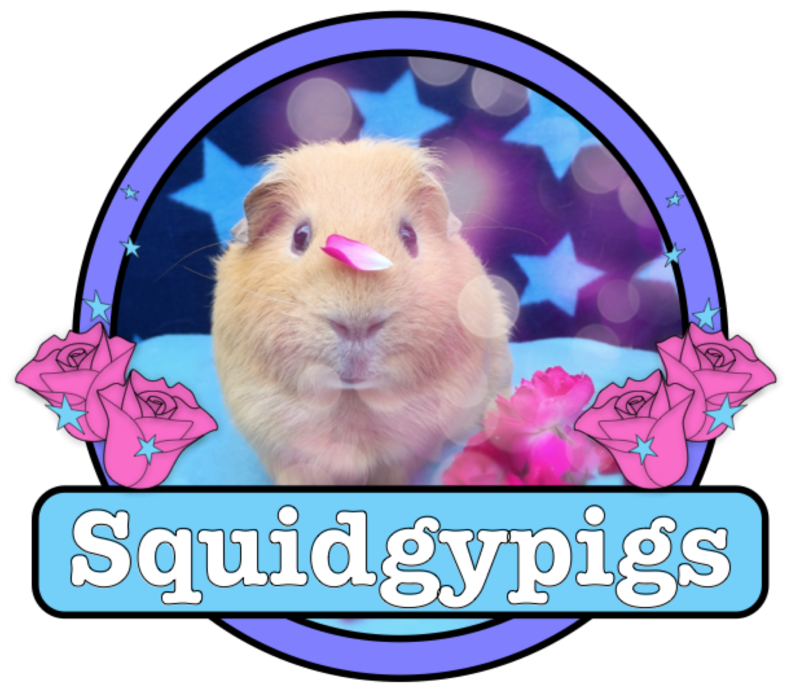 Vitamin C is probably the most important vitamin to Guinea Pigs because (like humans) they cannot produce their own so much get 100% from their diets. Low levels of vit C in their diets can cause everything from bad skin to paralysis. Pumpkin has a very low level of vitamin C compared to the likes of broccoli and kale; but actually contains more vitamin c than carrots. The high water content means that if you feed too much it could cause diarrhoea. 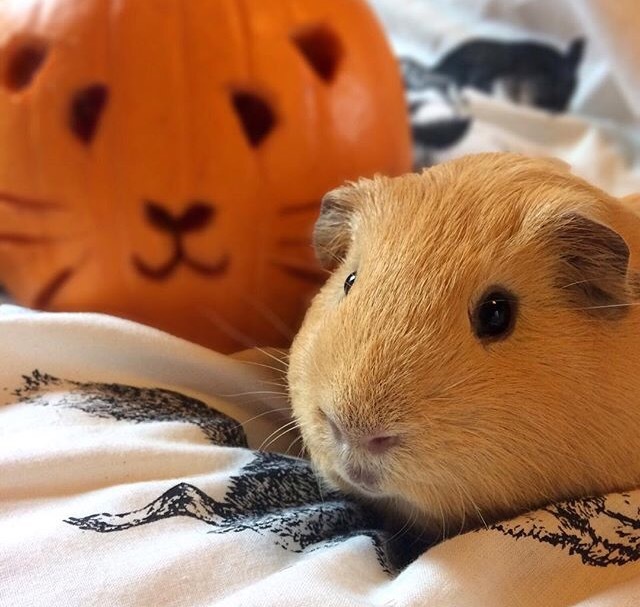 The seeds inside a Pumpkin are not poisonous and perfectly edible by most animals, however they should be removed because seeds are generally considered a choking hazard by the Guinea Pig keeping community. Wild birds love them. 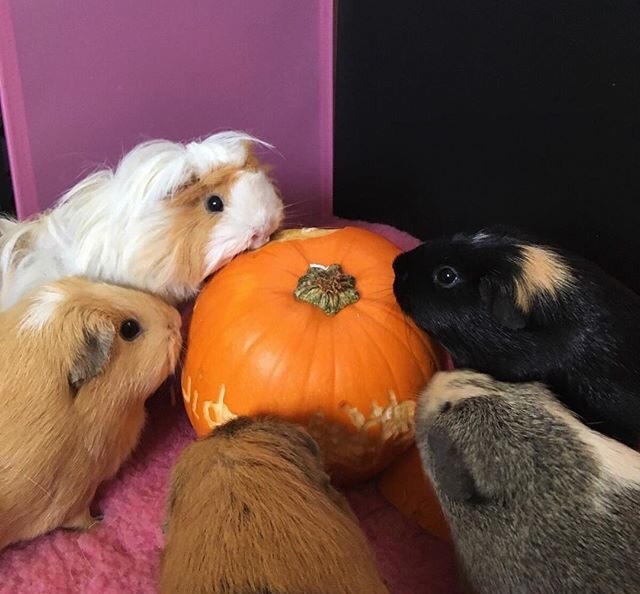 The girly fluff herd enjoying some pumpkin. 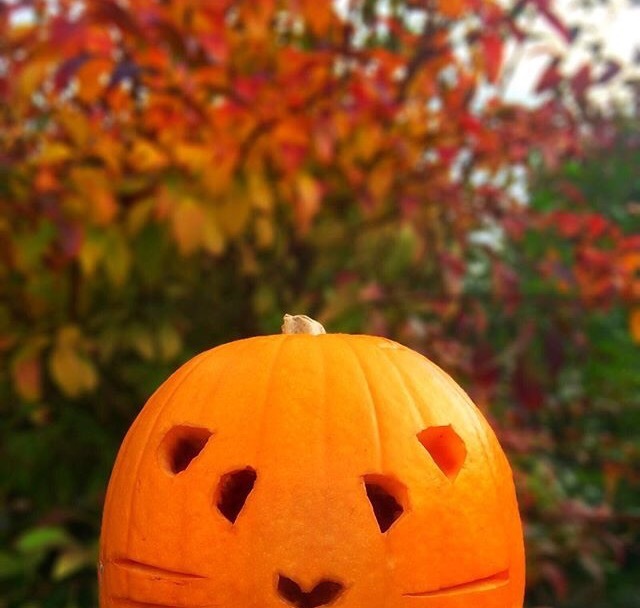 Pumpkin is a very much comparable to carrot in its nutritional make up and should be treated similarly.